The countdown has begun for an annual end-of-season saltwater flats trip—this year myself and a group of our fly-shop customers and staff are headed to a new destination in southern Belize. After spending more than seven months helping others enjoy more out of their fishing, I need some time in the bow of the boat with someone else ensuring my day is a success. Whether you’ve got the time and resources to travel to fish, or have to stick closer to home, just because the days are shorter and the nights are colder doesn’t mean you have to forego angling for another six months. Now is the time to enjoy winter fly fishing or plan a trip you’ve been thinking about for years. Here are some ideas to keep you on the water, locally or internationally. Trophy brown trout are closer than you think. From walking and wading the Madison River in Yellowstone National Park and dragging streamers on the Yellowstone River, to swinging a two-handed rod on the Missouri River at “Land of the Giants,” now is the time to wrap your hands around a 2-foot brown trout. But it will not come easy. For example, if you head to the Madison in the park, you should hike in very early in the morning to get the best spot and begin fishing at dawn—large brown trout feed more aggressively in low-light conditions. If you just want to fish and massive brown trout are not your primary target, nearly all of our local rivers are open to fishing through the winter. The exception is Yellowstone National Park waters, which close at sundown on Nov. 4. Try one of the Paradise Valley spring creeks—a rod fee is required, but it’s substantially less than their peak summer rates and if you choose an overcast day you may experience a prolific Blue Winged Olive mayfly hatch. If you go, bring a 3- or 4-weight rod, some 5X or 6X tippet and a long leader, as these fish know a good drift from a bad one. The Lower Madison is an often-overlooked fall and winter fishery. The primary factor here is wind, and how much it happens to be blowing on a given day. As a teenager I’d fish it most weekends, swinging soft hackles through troughs. As I got older I’d focus more on seams, looking for rising fish. Both are still very good ways to fish the Lower Madison. However, if you turn the corner and head south at Black’s Ford and the wind is stiff and blowing downstream, I recommend turning around and heading to the protected Gallatin Canyon. If you’ve just had enough of Montana—which is hard to do—or if you’ve got a bucket list, angling travel might be in your future. From Caribbean saltwater flats to New Zealand helicopter fishing, there’s a trip out there for every taste and budget. If trout are your fancy, our winter is summer in the Southern Hemisphere, which means there is a destination out there where a fish will eat your Chubby Chernobyl while your friends back home are shoveling snow. 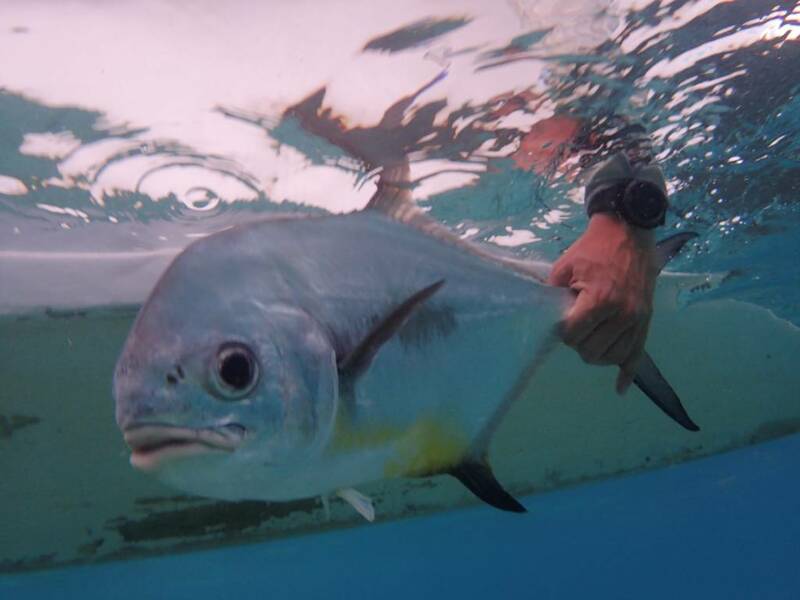 If sand in your toes or stalking a tailing bonefish or permit gets you excited, there are dozens of proven destinations to whet your saltwater flats appetite and give you a break from the long Montana winter. International angling travel is also a unique way to see the world. I’ve been fortunate to fish some amazing places. 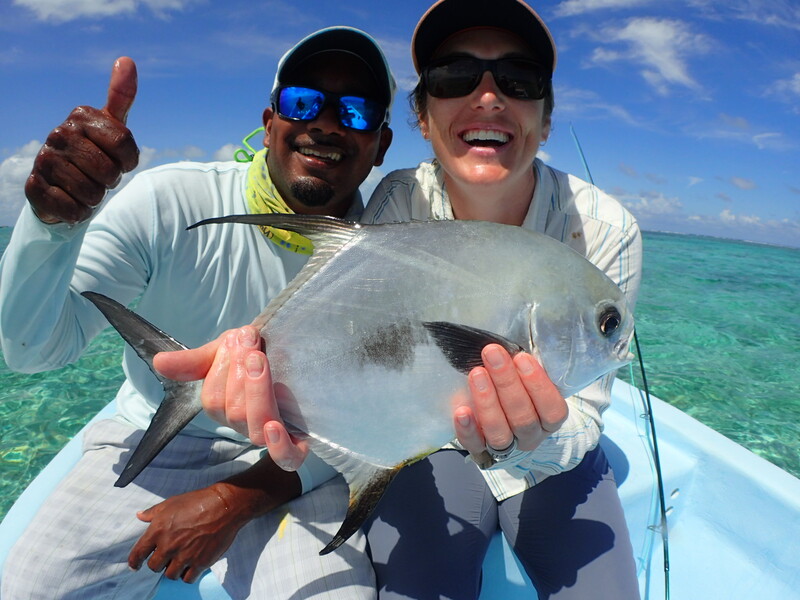 From tigerfish on Africa’s Zambezi River and small spring creeks in Patagonia, to Providence Atoll in the Seychelles, my angling lineup is varied and plentiful. To make some of these trips happen I had to save money or make money to pay off the cost of a trip, or in my younger years, eat ramen noodles and hot dogs for weeks before and after a trip. But the intrinsic value to my angling soul was priceless; what the ramen noodles and processed meats did to my body, well, I’ll learn more when I’m 50 and might pay for it then. If you’re interested in learning more about angling travel—on a noodle budget or not—feel free to reach out to me at [email protected]. Pat Straub is a 20-year veteran guide on Montana’s waters and has fished the world-over. The co-founder of the Montana Fishing Guide School, he’s the author of six books, including “The Frugal Fly Fisher,” “Montana On The Fly,” and “Everything You Always Wanted to Know About Fly Fishing.” He and his wife own Gallatin River Guides in Big Sky.